Athletes wear either a pair of shorts/trousers and a short-sleeved or sleeveless T-shirt/vests or leotards made from lightweight material. Athletes may choose to compete either barefoot or with footwear on one or both feet. 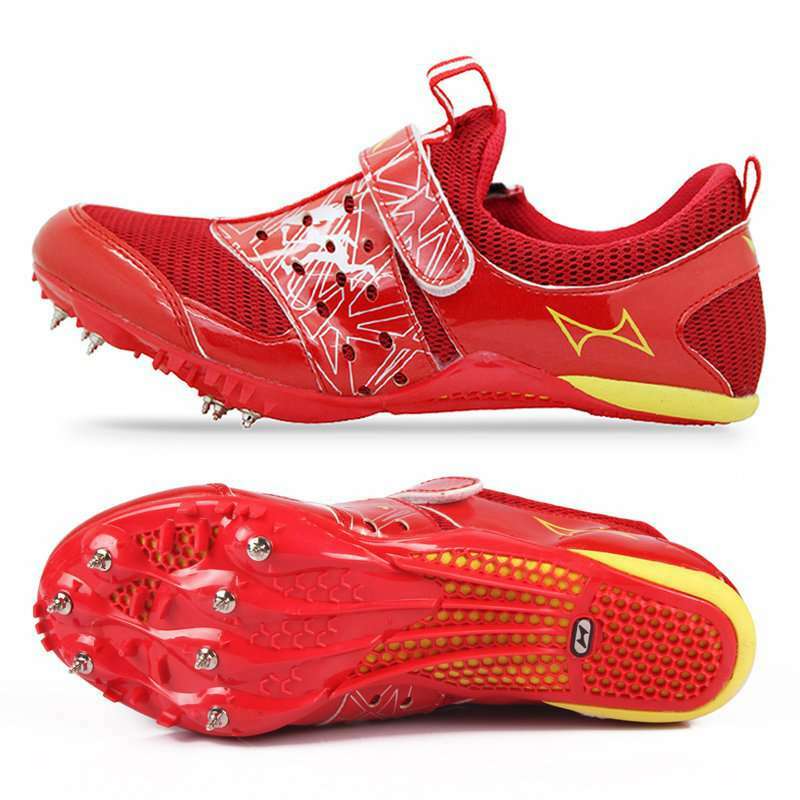 The shoes must provide protection and stability to the feet and may have any number of spikes up to 11. 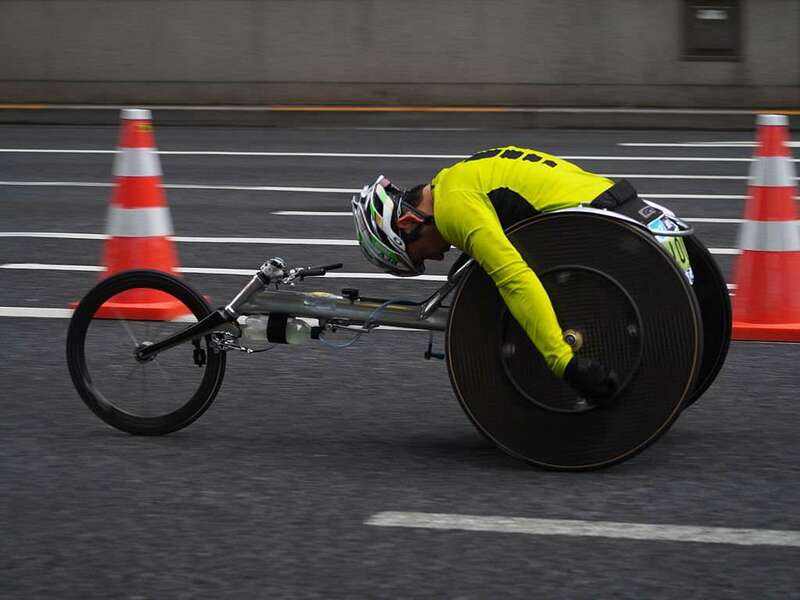 The sport classes T32-34, T51-54 (athletes belonging to all track and road wheelchair races) must wear helmets having a hard protective shell to ensure protection against injuries. 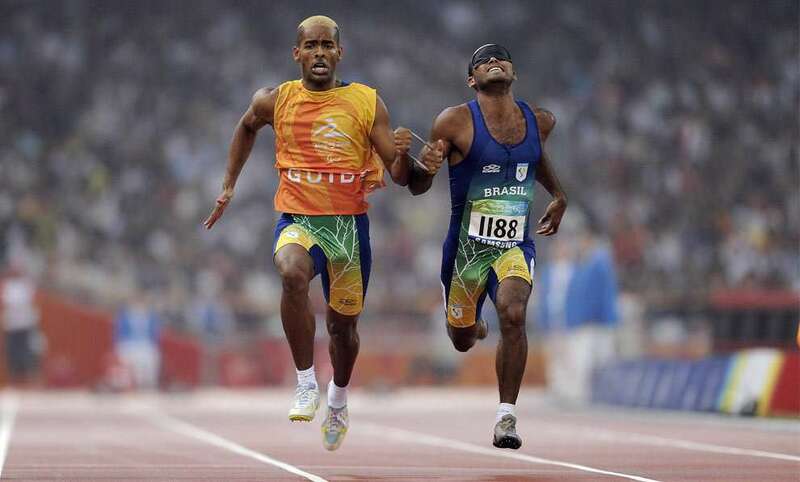 Athletes belonging to sport classes T/F11 must wear opaque glasses which blocks out all light to ensure fair competition. 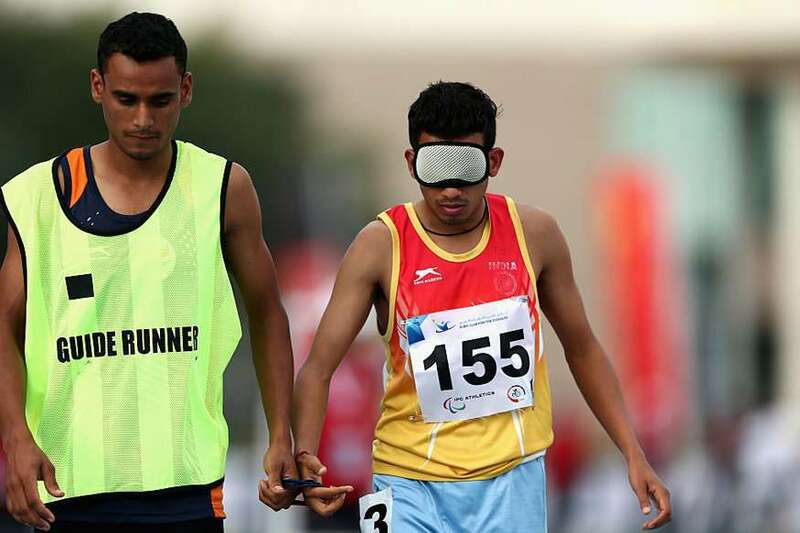 Other sport-specific equipment, uniform and protective gears used in para-athletics are same as those used in different disciplines of Athletics. 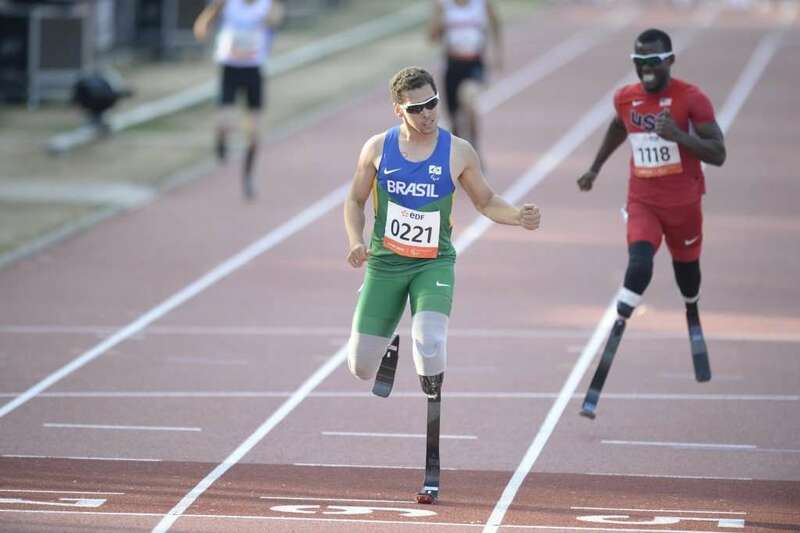 Para-athletic classes T/F 35-38, T/F 42-47 and F51-57 may wear prosthetic or orthotic devices to ensure balanced and symmetric running. When competing with a guide runner, athletes belonging to class T11 and T12 should be attached to the guide runner through a tether made from a non-elastic material. Its maximum length at its full extension must not exceed 100cm. 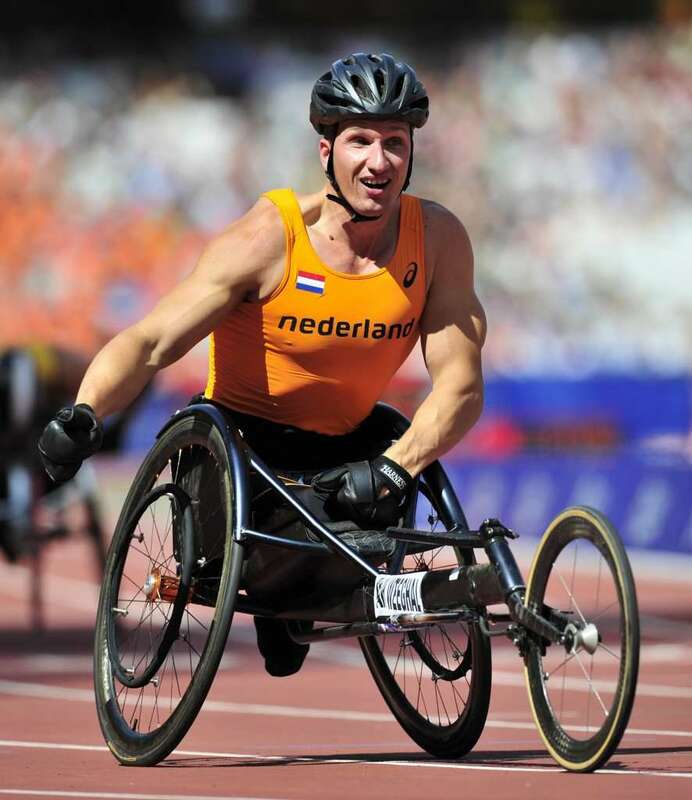 Wheelchair is a necessary equipment for athletes who compete in wheelchair track and field events. 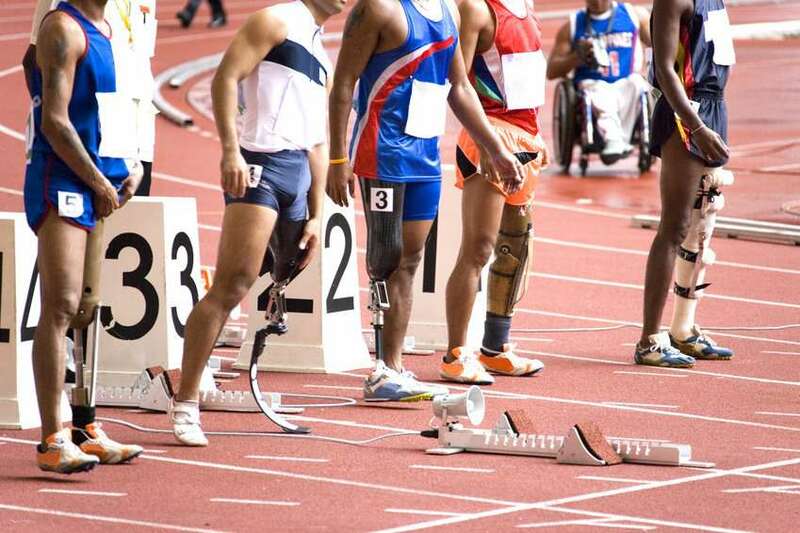 These are very lightweight with pneumatic tires and must have dimensions and features specified in the IPC Athletics rules. For additional information, refer here.